plus $4.05 shipping for up to 4 packs. 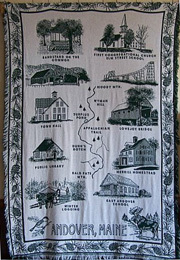 Andover Coverlet, 72 x 48 inches. 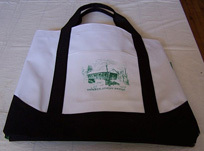 100% Cotton, Machine wash. Made in U.S.A.
For orders shipped to a Maine address add 5% sales tax. 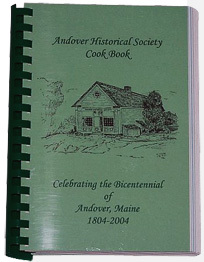 We accept Checks, made out to Andover Historical Society, Money orders, Visa and MasterCard. If you wish to order several items you will not be charged full shipping indicated for individual items. For example magnets could be tucked in with a coverlet at no additional shipping charge.